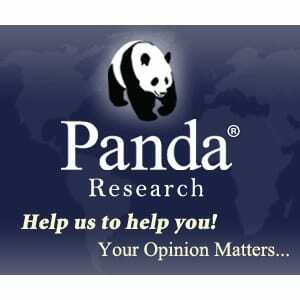 Panda Research has acquired a notorious reputation among surveyors in the online world. From a distance it lookslike a great opportunity to earn some money on the side, with high-quality surveys and an easy-to-use interface available for the users. However, the doubts amongst the internet users have been rising and it is necessary to have a holistic review about the program to decide whether it is legit or actually a scam. In this review, we are going to investigate about the company, personally look into the program and research the users for their experience regarding the use. By the end of this review, you should get a very clear view about the kind of program you are planning to indulge in. You can make money by testing sites and app..
Panda Research was founded in 2005, which makes it a decade old platform. It comes under the umbrella of A&A Marketing, Inc. which is a marketing group based in Illinois. The company also owns MindsPay.com and InboxPays.com. However, unlike the latter two brands, Panda Research is the flagship product of the group and has received the most attention by the users. In order to check the creditability of the company, we decided to check out its rating on Better Business Bureau (BBB). It may be understandable that Panda Research has no rating verification of its own, but the parent company does not have a rating embedded in the systems well. This leaves us with no clear perspective regarding the reliablity of its brands. 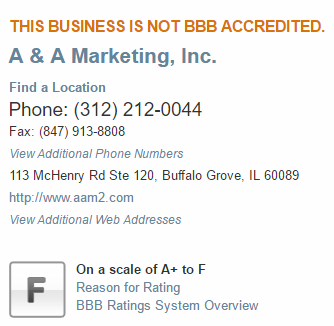 According to BBB, A&A Marketing, Inc. has an old rating of F from a scale of F to A+. The company is not currently accredited by BBB. This makes it a zero trust company. return for a payment. The amount of payment each gig carries depends upon the extent of work it needs and the quality of assessment. It is not clear whether the Panda Research group is an independent firm or a group of middlemen, who manage the filling of surveys for the mega marketing companies. After you have reached $50 USD, you are liable to withdraw the amount to your PayPal account. The withdrawal is subject to verification via phone call. The website maintains that the verification process is to prevent any possibility of fraud. The payment is paid only on the 1st and 15th of the month. The payment is paid 30 days after successful verification. There is a limit of withdrawing only in batches of $50. This means that if you do not have multiples of $50 available (e.g. $107.5), then you would be paid with the maximum possible multiple of $50 ($100) and the rest would be kept in your account for later withdrawal ($7.5). The website address is PandaResearch.com. The webpage loads pretty quickly. The website seems to be very simple and to be frank quite old fashioned. What stuck out from the usual on the website was the copyright text at the bottom, which is one of the first things to check for on any survey website. The text stated: ‘Copyright Panda Research, 2005-2011 All rights reserved’. It is 2017 now and the website does not seem to have been updated. Seems fishy. A reputable company hires good web developers to keep the website up to date, especially if it is the main source of income. The website boldly claims that the company has dished out over 2 million USD to users. Now again that would look like an impressive claim. However, what makes it look dubious is the fact that users are complaining about their payments from all the sides. Moreover, upon extensive research in the history of the website, it seems that the website has boasted this figure of 2 million USD since the past 5 years. Again, this is a warning sign. Has the company not paid any more money since then? Or is the figure just a random fabrication? The first glance in to the website has supported the scepticism regarding the brand. So now as we go deeper in to this review, the chances of the website being a scam are far greater than it being legit. Of course, these signs may just be a way by which the business is trying to protect itself from extreme cases and potentially rip off signings. So, to confirm this we have decided to sign up on the website as a user and note down the experience below. Signing Up And Surveying – Legal or Scam? Getting the membership for the website is quite simple and absolutely free. The latter part is important as if any survey website is right on asking for your cash, it is a no brainer that it is a scam. While signing up, the website offered no option for ensuring the security of the user’s data. There was no two step verification process or TrustE certification. The TrustE certification ensures that the website is maintaining the highest security protocols and the data you input is always protected. This does little to help with the confidence regarding Panda Research. The website offers several types of mini gigs that can take you from 10 minutes to 45 minutes to complete. Since we are going to test the program, we will be taking up the smallest surveys available. There are no barriers from starting off your surveying. If you are going to do product trials, the website may ask you for your credit card information, however this is not required for completing surveys. However, if you are a hard-core surveyor you may not be able to find yourself with sufficient work. Since we decided to do as much surveys as possible for a quick pay-out, we would find ourselves waiting for available surveys many a times. Our highest paying survey amounted to $45, which is outstanding. However, we only received a survey of such magnitude only once. Mid-range work is typically easily available and is still quite good against the market average. So after completing a handful of surveys, the total balance in our account reached $57. It took us about 28 days to get here. At this moment, it looked highly doubtful that we would even reach a three figure since the surveys were drying up. Anyways, after crossing $50, there was a ‘Get Paid’ button showing on my account. After withdrawing the money, we had to follow up with a verification process. All things went smoothly. Now all we had to do was wait for the money to show up in the PayPal account either on the 1st or the 15th of the month, after the 30 days waiting period. Unfortunately, despite waiting for a good 50 days after withdrawal, there was no payment in our PayPal. Moreover, the surveys on the website itself were coming in very slowly making it almost impossible to reach another $50. Upon contacting the customer support of the company, there was no reply from the other end. At the time of the writing of this report (July 2017), more than two months have passed without any response from the company or any sign of payment. We think you might like this site too…. This first hand experiment with the website hits the nail on the head regarding the nature of Panda Research. Upon our experience, it does seem like a scam. However, to reconfirm this we have also investigated the users of the website and recorded their experience with the surveying program. In general, most forums and review sites have complaints regarding Panda Review. There have been very few reports of a positive experience and there is no saying that these handful of positive reviews may be paid ones. Users have had money worth up to $500 at hold by the company. Users have waited several months before ever receiving a payment. Most of the times any payment received is a small percentage of the actual money withdrawn. Panda Research states that payments on hold require approval by the respective companies which created the surveys. This looks like an excuse since from a pragmatic perspective, no company would hold work for review for multiple months. Users have received several hundred spam emails per day. It seems like the data users enter is being sold for profit by the company. Very few people have confirmed that they have received payment. They recommend calling the company hotline in case of any failure in payment. Our personal tries to reach the company have failed in this regard, however it seems that it might work once in a new moon. There are no valid explanations regarding why some users were paid while most users were kept on hold. All in all, users have repeatedly reported working with Panda Research as a big risk. were paid by the company. However, these are very remote cases and almost none of them actually received the total payment that was due. As a user, you are not sure whether you are going to be paid for the effort you are putting in the website. Moreover, the website’s terms and conditions mention that there is no guarantee of a payment and it is at the sole discretion of the company. This makes the website a totally unreliable one and should never be a choice if you are looking for a stable side money by surveying. It is in no way an efficient way of generating money and as we have personally experienced, there is no stability of work on a monthly basis. Not all websites online are scams. However, the art of earning online through surveys and reviews is to successfully skip all the scamming websites and land on a stable and trust worthy platform. Project Payday is one of the best options for any user looking to make a stable income for their past time. It has been rated A+ by Better Business Bureau and offers a guarantee of work or they would pay you $100. Seems pretty enticing? It is. The company has built a very respectable reputation in the online sphere and is growing with each passing year. It is free and very convenient to use. Moreover, if you are a newbie, you can easily find training in their mentor section. If you are looking for good paid survey sites, then you should check out PrizeRebel and Vindale Research.